First ever Asian Pacific town hall in Minnesota finds plenty to celebrate and to be concerned about. Following the welcome, Brian Kao, the Council’s Research Analyst, presented US Census data on Asian Pacific populations in Minnesota, which included data on the economic contributions of the Asian Pacific community as well highlighted concerns about poverty, insurance coverage, unemployment and other social measures. Panelists Antonia Wilcoxon (MN Dept. of Human Services), Bo Thao-Urabe (Asian Americans/ Pacific Islanders in Philanthropy), and Dr. Bruce Corrie (Concordia University) followed with recommendations for community and state leaders to respond with collaborative solutions to address community concerns. During the second half of the town hall, state leaders and legislators engaged the audience on community concerns. Guests included Sen. John Harrington, Rep. Sheldon Johnson, Rep. Tim Mahoney, MN Dept. of Human Rights Commissioner Kevin Lindsey, MN Dept, of Education Assistant Commissioner Rose Chu, MN Office of Minority and Multicultural Health Director José González, and St. Paul Board of Education member Keith Hardy. Town hall attendees shared questions and concerns on issues ranging from unemployment, economic self-sufficiency, learning English, financial planning, health insurance, and constitutional amendments. In closing the event, Bao Vang thanked attendees for attending the first ever Asian Pacific town hall and reminded them that the event is a first in larger conversation about working together to address community needs. 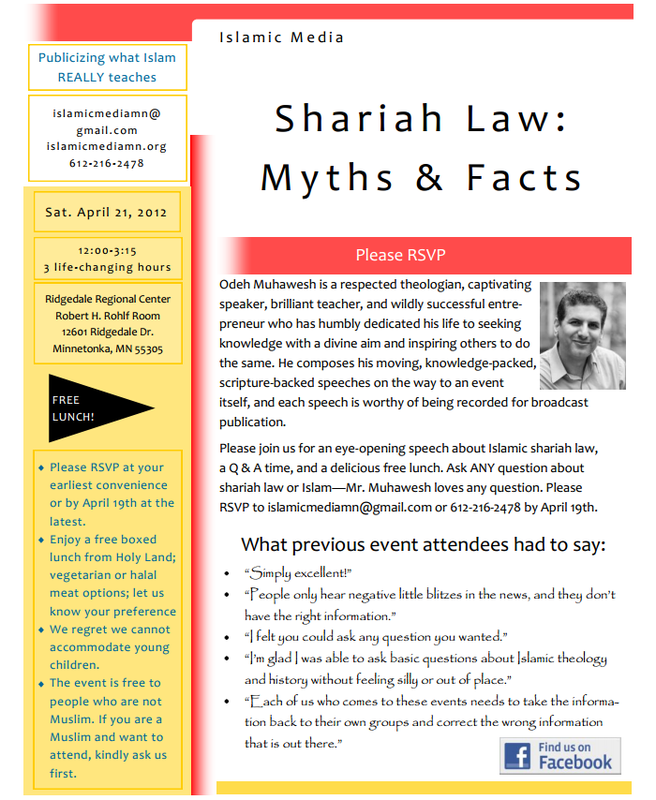 Organizers of the event hope to have an increased attendance in 2013. 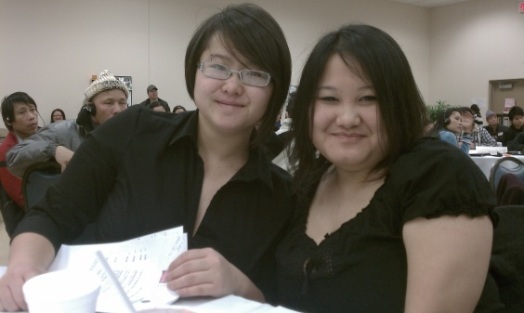 Hmong American Partnership was founded in 1990 and provides programing in education and training, elderly services, employment services, and youth and family services for community members in St. Paul, Minneapolis, and surrounding areas. PDF version of this PR. 2010 US Census Data, presented at the 2012 Asian Pacific Town Hall at Hmong American Partnership on Feb. 18, 2012. Immigrants and their children are growing shares of Minnesota’s population and electorate. The foreign-born share of Minnesota’s population rose from 2.6% in 1990, to 5.3% in 2000, to 7.1% in 2010, according to the U.S. Census Bureau. Minnesota was home to 378,483 immigrants in 2010, which is more than the total population of New Orleans, Louisiana. 44.7% of immigrants (or 169,246 people) in Minnesota were naturalized U.S. citizens in 2010—meaning that they are eligible to vote. 4.3% (or 126,034) of registered voters in Minnesota were “New Americans”—naturalized citizens or the U.S.-born children of immigrants who were raised during the current era of immigration from Latin America and Asia which began in 1965—according to an analysis of 2008 Census Bureau data by Rob Paral & Associates. Roughly 1 in 11 Minnesotans are Latino or Asian. Asians comprised 2.0% (or 56,000) of Minnesota voters in the 2008 elections, and Latinos accounted for 1.3%(or 35,000), according to the U.S. Census Bureau. In Minnesota, 86.3% of children with immigrant parents were U.S. citizens in 2009, according to data from the Urban Institute. In 2009, 88.3% of children in Asian families in Minnesota were U.S. citizens, as were 90.3% of children in Latino families. Latino and Asian entrepreneurs and consumers add billions of dollars and tens of thousands of jobs to Minnesota’s economy. The 2010 purchasing power of Minnesota’s Asians totaled $5.9 billion—an increase of 662.1% since 1990. Minnesota’s 11,371 Asian-owned businesses had sales and receipts of $2.4 billion and employed 16,950 people in 2007, the last year for which data is available. Minnesota’s diverse immigrant population adds hundreds of millions of dollars to the state’s economy. In the Twin Cities metro area, 138 immigrant-owned businesses created 386 new jobs and spent $5.6 million on payroll, rent, and supplies in 2002, according to a study from the University of Minnesota. More than 16,000 Asian-Indians living in Minnesota accounted for $500 million in consumer purchasing power, paid $5.2 million in real estate taxes and $2.3 million in rent, and owned 400 companies that employed more than 6,000 people, according to the same report. Minnesota was home to 60,000 Hmong, whose businesses generated an estimated $100 million in revenue, according to the same report. Immigrants are integral to Minnesota’s economy as workers. Immigrants comprised 8.3% of the state’s workforce in 2010 (or 243,842 workers), according to the U.S. Census Bureau. Immigrants accounted for 8% of total economic output in the Minneapolis metropolitan area as of 2007, according to a study by the Fiscal Policy Institute. Unauthorized immigrants comprised 2.1% of the state’s workforce (or 60,000 workers) in 2010, according to a report by the Pew Hispanic Center. If all unauthorized immigrants were removed from Minnesota, the state would lose $4.4 billion in economic activity, $2.0 billion in gross state product, and approximately 24,299 jobs, even accounting for adequate market adjustment time, according to a report by the Perryman Group. $15.6 million in state income taxes. $7.6 million in property taxes. $58.4 million in sales taxes. 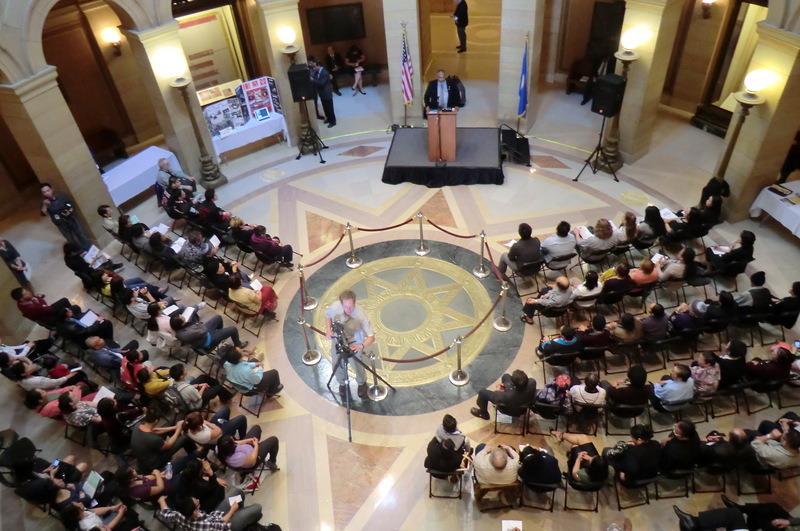 Immigrants are integral to Minnesota’s economy as students. 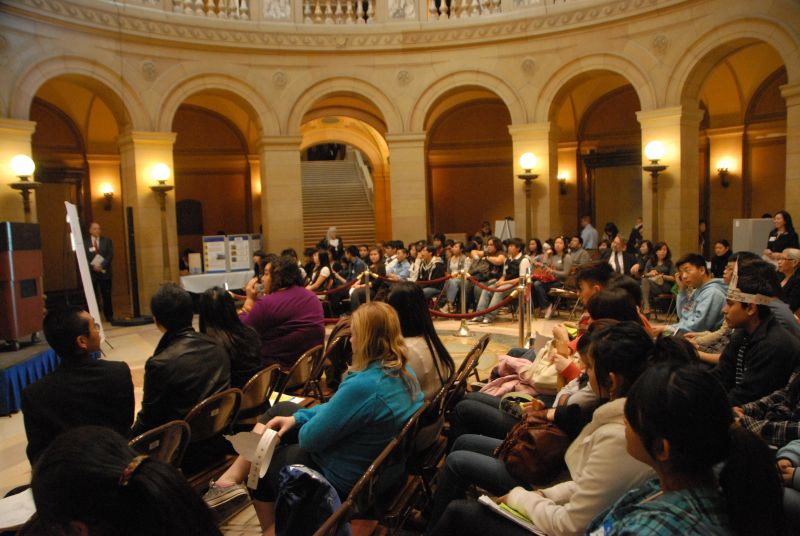 Minnesota’s 11,550 foreign students contributed $276.3 million to the state’s economy in tuition, fees, and living expenses for the 2009-2010 academic year, according to the NAFSA: Association of International Educators. In Minnesota, 35.3% of foreign-born persons who were naturalized U.S. citizens in 2009 had a bachelor’s or higher degree, compared to 29.7% of noncitizens. At the same time, only 21.2% of naturalized citizens lacked a high-school diploma, compared to 35.1% of noncitizens. The number of immigrants in Minnesota with a college degree increased by 71.2% between 2000 and 2009, according to data from the Migration Policy Institute. In Minnesota, 79.1% of children with immigrant parents were considered “English proficient” as of 2009, according to data from the Urban Institute. The English proficiency rate among Asian children in Minnesota was 74%, while for Latino children it was 84.8%, as of 2009.